How to view the audit trail for Method. The Audit Trail is stored in a table within Method which can be exported so you can view information on the activity of your users. Perhaps you want to see how active your Sales Reps are, or maybe you want to see who and when a transaction was altered. This article will outline the steps to export the audit trail as well as explain the columns within. 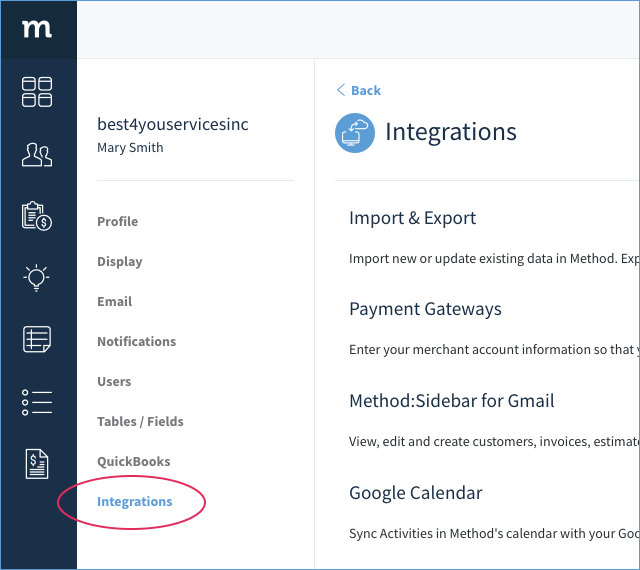 Note: In order to access the import/export tool, you need to be an administrator on your Method account, and you need to have API access. Please see What is the Import/Export tool for more information on granting those permissions to your Method users. 1. Select the Gear in the upper right corner, and then select Preferences. 3. 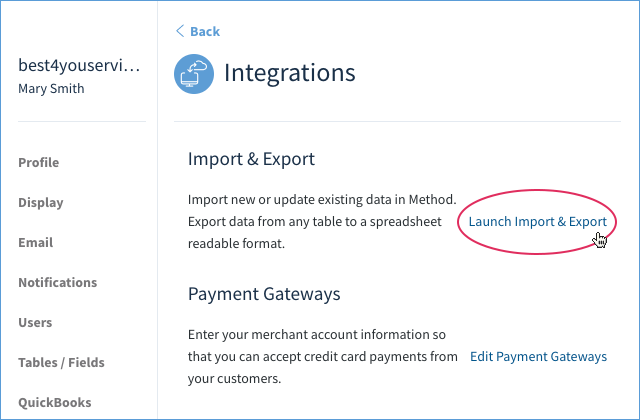 Select the Launch Import & Export link. 4. 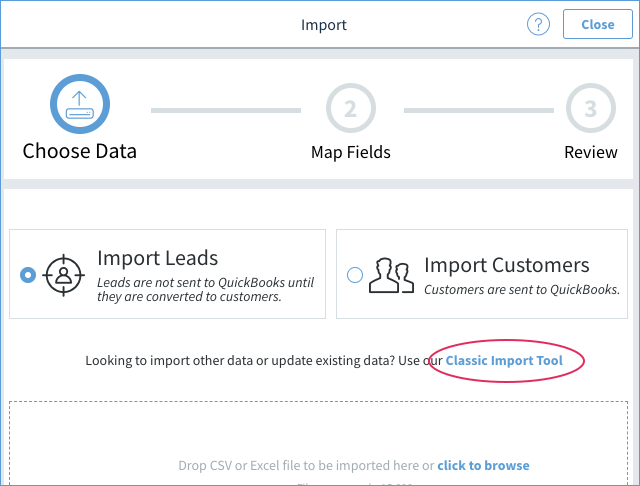 Select the small link called Use our Classic Import Tool. 5. This will open up the classic Import Tool. Select the Export a table to a file. 6. For 2. Pick a Table, uncheck "Show only common tables?" 7. Still in 2. Pick a Table, select AuditTrail in the dropdown. 8. For 3. Choose Export fields, the audit trail may be quite large, so it is recommended you filter it by checking Advanced Filter Options. Please see our article Using filter with script to export. 9. Jump down to 5. Export to file, and click Export to File button. This will download a .csv file which you can view in Excel. The next section will give you information on how to read this file. When you view the audit trail, there are a few columns to take note of. ADD - A record was added to a table. MOD - A record was modified in a table. DEL - A record was deleted from a table. SYN-F - A full sync was completed. MethodAPI - There may be a number of actions that start with MethodAPI followed by common API commands. These are actions done by a user using the API or the import / export tool. Comment - Details and information about the action. CreatedDate - When the action was performed. This is in UTC time, in other words, it is not converted to your current time zone. IPAddressLocal - The IP address of the computer that did the action. RecordID - The RecordID for each entry in the AuditTrail table. You can ignore this. TableName - The table that was affected by the action, if applicable. TableRecordID - the record ID of the record that was affected by the action, if applicable. UserName - The Method user who did the action.